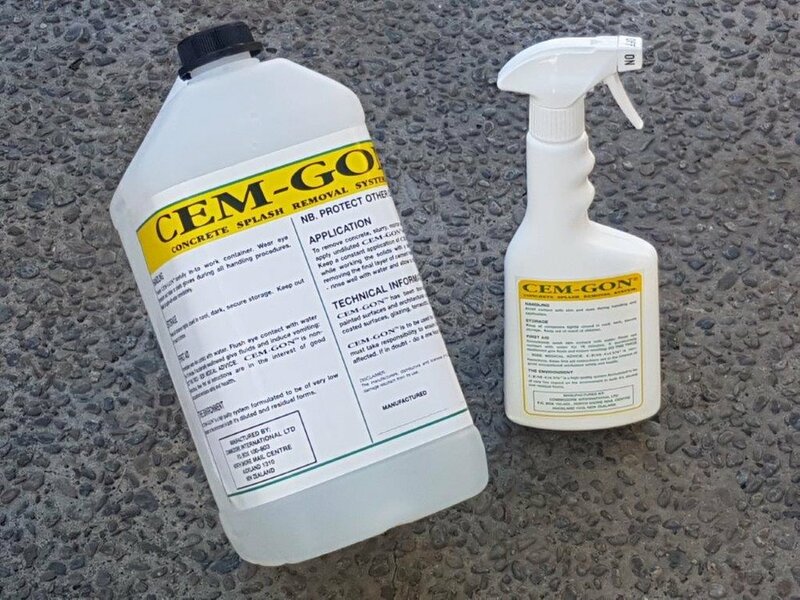 Cem-Gon™ was developed to provide the cement industry with an easily applied system to remove cement splashes. It is your solution for the removal of concrete, slurry, mortar, grout and plaster splashes from architectural coatings, painted surfaces, glazing, anodized and powder coated surfaces, ceramic tiles, stone, asphalt and stainless steel. Available in 500 ml spray bottles and 5 litre containers. (Please note that it is important that the surface Cem-Gon™ is to be used on is suitable and intact). Omega Construction (Auckland) Limited is the sole distribution agent for Cem-Gon™ to the cement industry. CEM-GON™ is tested and proven under many different conditions. Download detailed reports relating to various tests that have been performed. 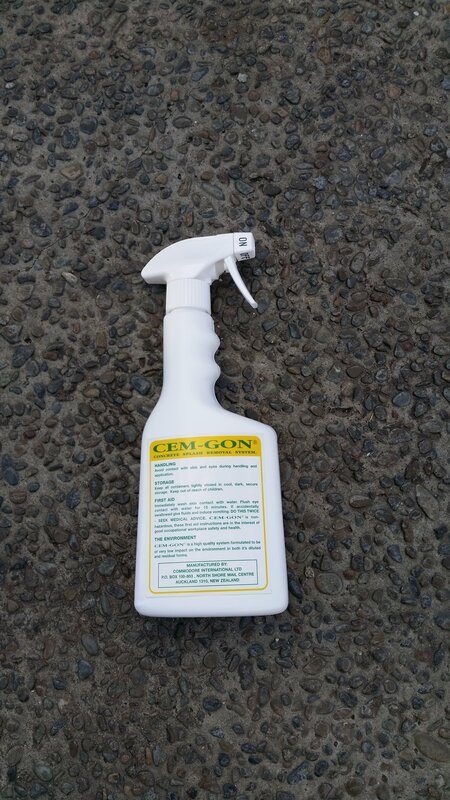 CAUTION: Care must be taken when using Cem-Gon on cement based bricks. DO A TEST PATCH FIRST in an unseen area. We recommend watering down 50/50, apply then wash off within 1-2 minutes or if covering a large area wash off immediately. Spot cleaning will be noticeable do the entire surface for best results.